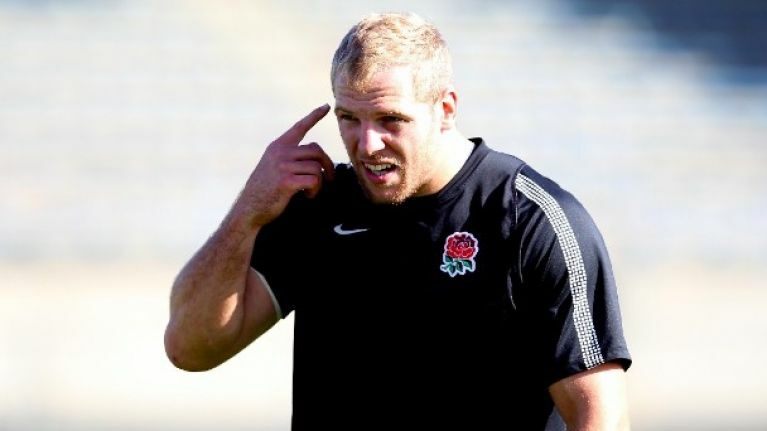 The UFC caught up with James Haskell to chat about how he uses MMA in his rugby training, and why he feels that this training has given him a unique edge. Here's what he had to say. Do you use MMA in your training, or are you just a spectator of the sport? Yeah I do use MMA, when I’m in London, I train at London Shootfighters with UFC fighter John Hathaway and the other guys down there. It’s great for my general fitness and helps my performance on the rugby pitch. I love sport and this is one of the best activities out there. Do any other of the England team share your passion? Yeah, a lot of the England boys are big fans of the UFC. Matt Stevens became a National Wrestling Champion during his two years away from rugby and has trained with the Gracie’s. Wrestling was a big part of training at the World Cup, we even set up a dojo at our camp, it is fantastic exercise for conditioning. When we were out in New Zealand, UFC 135 was on, Jon Jones vs. “Rampage” Jackson and we all huddled round to watch it. So what got you interested in MMA and UFC? And what is it you like about the sport? I’ve been interested in mixed martial arts for around three years. I have the same physio as the guys at Shootfighters and he got me into it. It’s a fantastic form of training, it builds strength and endurance and has helped me to manipulate and move people on the rugby pitch. It has definitely benefitted my game. For me, Ju-Jitsu is the best aspect of MMA. The skill level is just incredible. It teaches you how to control and move your opponent, which is obviously key for me. I regret not doing boxing as a kid because the footwork and movement you learn is so important, being able to rotate your body correctly is vital for every sport. How do you find MMA relates to rugby? Your footwork and placement is vital in both sports. It’s about how you move and positioning yourself correctly. If your feet are in the wrong place in rugby, a guy will run straight through you, in MMA, a guy will take you down. It’s about side control and making your opponent do what you want him to do. Some of the conditioning is also similar to what I do for rugby; it’s about developing a lactic tolerance and training through the pain, whilst ensuring you keep thinking clearly. The discipline is also the same, there is no disrespect allowed in rugby or the UFC at all. Do you think you could make it as a professional fighter? With my rugby commitments, I could only ever be an amateur mixed martial artist but I love the sport and want to improve. I’m very competitive and would like to compete but obviously it’s very difficult, these guys are incredibly talented and dedicated. 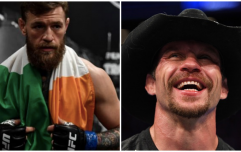 Do you have any favourite UFC fighters at the moment? Brit John Hathaway is a good mate and a great talent. I expect big things of him. But my favourite UFC athlete at the moment is Light Heavyweight Champion Jon Jones. He is so talented, exciting and an amazing athlete.